The most comprehensive of Robert Sorby’s full size sets. 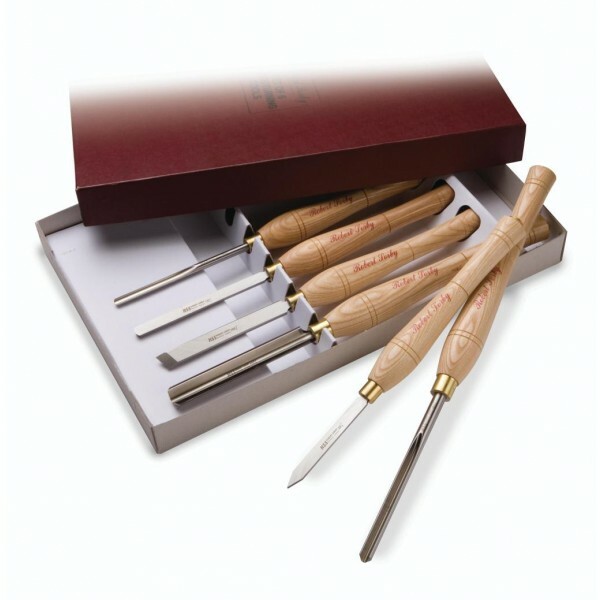 This eight piece deluxe set carries all the core tools a turner will need to accomplish many basic projects and more. 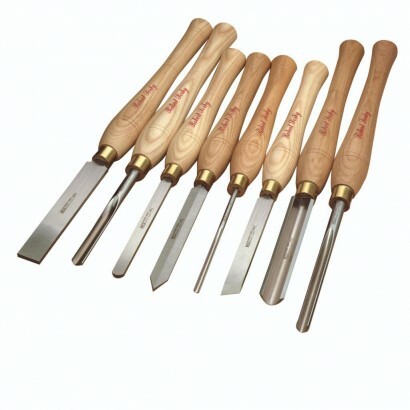 It contains two sizes of spindle roughing gouge to accommodate varying sized projects and two scrapers (round and square); the round scraper is ideal for creating flowing curves and the square is perfect for finishing convex and flat bottomed forms. Presented in a high quality, beautifully crafted box. It delivers a striking visual impact especially if gifted as a present. Note: Please quote part numbers for individual tools.